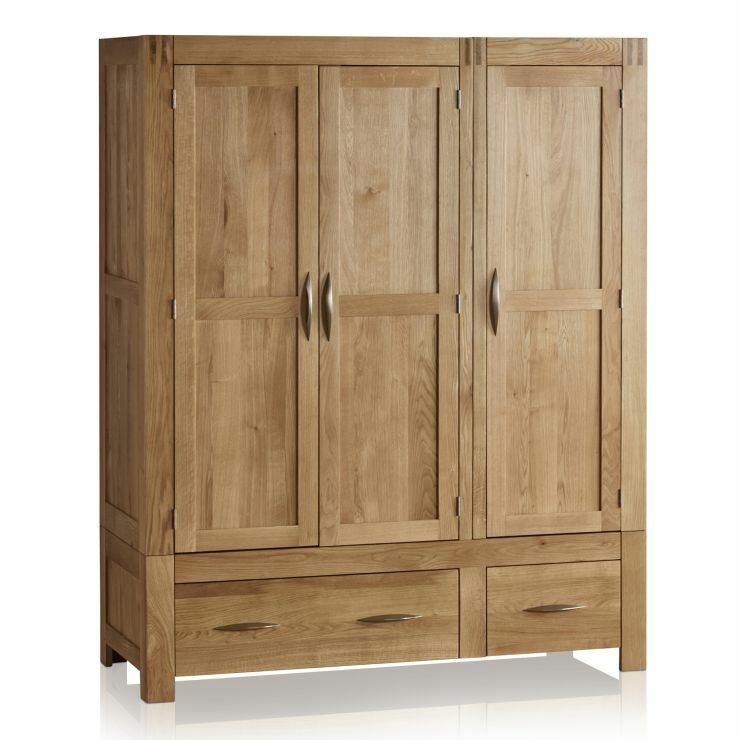 Alto’s chunky natural solid oak frames and box finger joints feature in this triple wardrobe. Combine with other pieces in the range to put together a contemporary look in your bedroom. 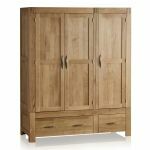 The triple wardrobe has one double and one single hanging rail. 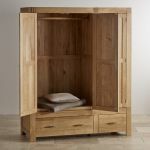 Two good, deep drawers at the base give strength to the wardrobe as well as providing very useful storage. 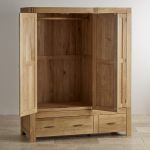 The Alto triple wardrobe is made from solid oak throughout, including the the drawer backs and bases. 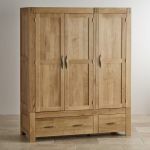 As with all our ranges, dovetail joints feature for strength, making our furniture long-lived, and a real investment. 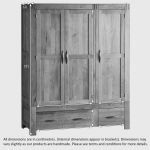 With free delivery and minimal assembly on this large piece of furniture, you can look forward to controlling bedroom clutter and creating a haven instead.